Sell Your Goods for Free & Earn Profit! Increase your sales using our Product Locker Checkout Technology that can monetize your products and digital goods! Let us review your content & traffic to find the best monetization solution to maximize your earnings. Please feel free to contact our Support Team with any questions! AdWork Media's Product Locker℠ can sell your music, books, downloads, guides, and other premium content without costing the user a dime! Our Product Locker℠ is a hosted service that automatically sells your products and digital goods in return for users participating in offers from our sponsors. Receive email updates for each order and full customer details. You can also customize the theme and over 50 settings for the Product Locker so it's perfectly tailored to your content. Get a Product Locker℠ setup in seconds with our pre-made Themes! It's Quick & Easy to Sell your Digital Goods and Products with our Product Locking℠ technology! How Does the Product Locker Work? Setup one of our flexible Product Lockers for your goods or service. Then send traffic to your checkout link and our checkout system will handle the rest! Users will be greeted with your product information, testimonials, description, screenshots, video reviews & more. All options are customizable. How Do I Monetize my Traffic with the Product Locker? Users will be presented with a variety of special offers from our advertisers. Each time they participate in an offer they will earn credits towards unlocking your product or service. 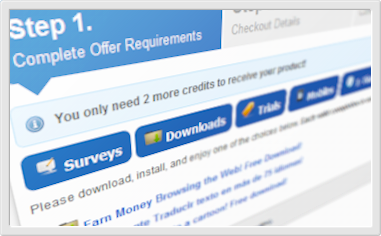 Once the user has met the minimum required credits they will be able to continue the checkout process and earn their reward. You are also rewarded and will receive compensation for every user's completion! Earn $0.20 to over $20.00 per valid completion depending on the user's country and campaign type! Can I Monetize Mobile Traffic with My Product Locker? Yes! The Product Locker supports traffic from mobile and tablet devices and automatically targets our best mobile campaigns for your mobile traffic including our top iOS and Android campaigns.